Join our March 2016 Raja Trip or Dec 2016 Raja Trip, both at amazing prices! Raja Ampat, Indonesia - a mysterious, magical place. 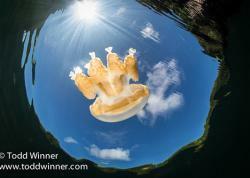 It brings up images of a far-away magical place filled with marine life. Is it worth the trip? What will you see? How do you get there? What is the boat like? Find out all of this and more - read on! 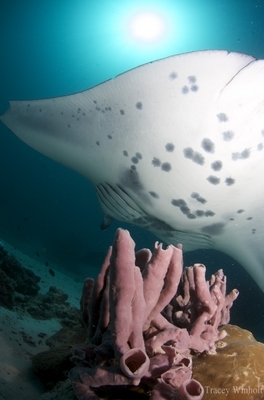 Raja Ampat Marine Life - What will you see? 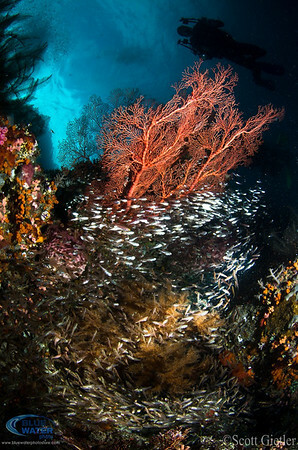 Raja Ampat is filled with fish - lots of fish. And corals - lots of hard and soft corals. 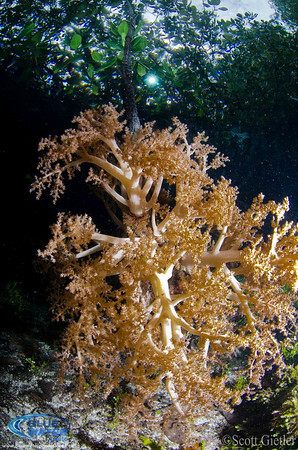 Beautiful soft corals, especially in the Misool area. Most of our dives had fusiliers, barracuda, jacks, napoloean wrasse, bumphead parrotfish, tuna, batfish, several trevally species, sweetlips, snapper, and rainbow runners. The amount of life was fantastic. Occasional sightings included mobula rays, spotted eagle rays, and sea snakes. Turtles were seen on several dives. Manta Sandy has lots of Manta Rays getting cleaned. We did not do the famous "Blue-water Mangroves" at Misool, where crocodile have been seen, but we did do some great Mangrove dives in the north near the Citrus Ridge dive site. Most people really enjoyed the mangrove dives, although a couple people didn't care for them. I loved them. There was a lot of unique marine life like Archerfish, cardinal fish and many interesting juvenile fish, and some juvenile blacktip sharks. 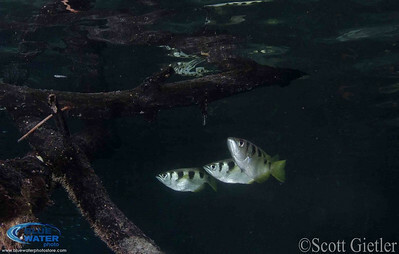 The elusive archerfish, in the Raja Ampat mangroves. These archerfish "spit" at insects above water and knock them in the water, with surprising accuracy. 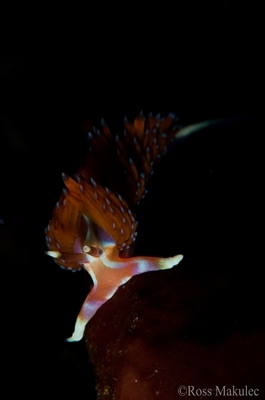 The night dives at the piers had loads of macro subjects - blue ring octopus, bobtail squid, ghost pipefish, and more. 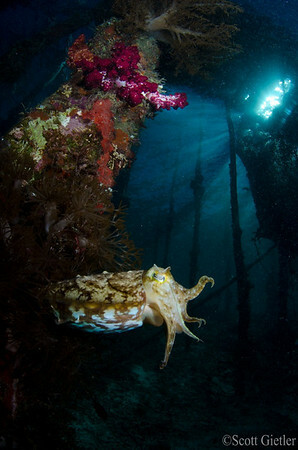 In fact, I saw my first blue-ring octopus ever on this trip, on a jetty dive. 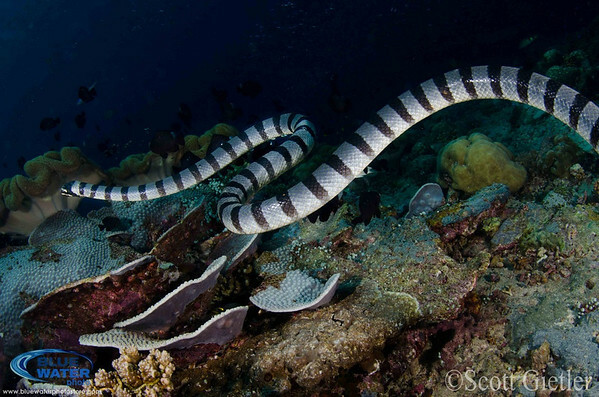 Other guests saw one on a night dive at Yilliet Kecil. 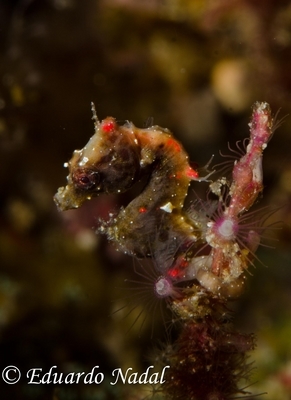 Speaking of macro, there are pygmy seahorses on almost every dive site. A few sites had ornate ghost pipefish. There were squid, cuttlefish, and pygmy squid on a couple of the night dives. The night dives were much, much better at the jetties. 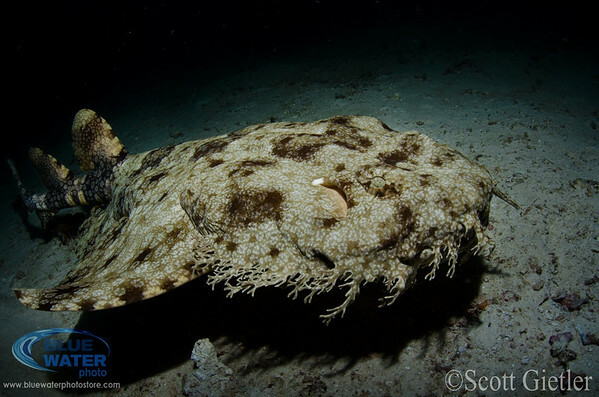 We saw lots of Wobbegong sharks on the trip, a couple of Epaulette "walking sharks" on night dives, and a few blacktip, whitetip, and gray reef sharks when the currents picked up. Two of the sites have juvenile white tips sharks living under coral bommies, which sometimes would swim around the divers - very nice! Most Raja Ampat trips start and end in Sorong. You'll need to fly to Jakarta, Bali, or Singapore first. From Jakarta - you can take a direct 4 hour flight on Express Air. This is the fastest and easiest way. I like to stay in a hotel near the Jakarta airport - FM7 hotel is excellent. Going through Bali takes longer, and there are no direct flights from Bali - but Bali is beautiful, a much nicer stay than Jakarta. And it has great diving! If you go through Singapore, which is also a great place to overnight, you'll then transfer through Manado. So combining Raja with a Lembeh trip is very popular. Please note that there are often delays when transferring planes to Sorong, so for the fastest trip it is suggested to go through Jakarta. However, in general the boats will wait for you if you are delayed. They do enforce weight limits on check-in bags on the flights to Sorong, the total weight limit is usually 20kg. You have to pay for each kg over 20kg. Our hand-carry bags were not weighed. 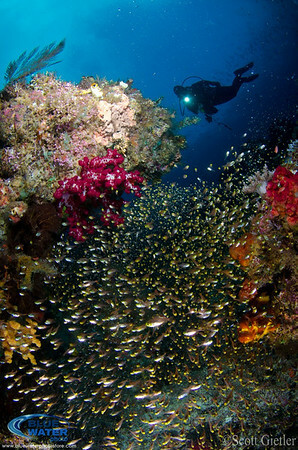 Diving in Misool - the "south"
Raja Ampat is a big area. One of my favorite areas for underwater photography was near Misool - the area which included Nudie Rock, Yilliet Kecil, and Boo Windows. A photographer can easily do several dives at each of these sites - they were awesome. 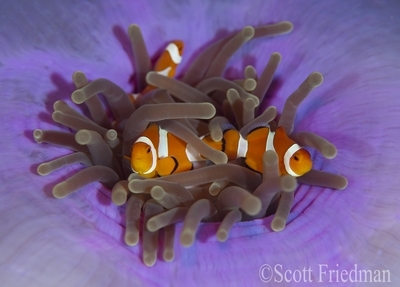 Lots of soft coral, lots of great fish. I divide Raja into the "north" and the "south". 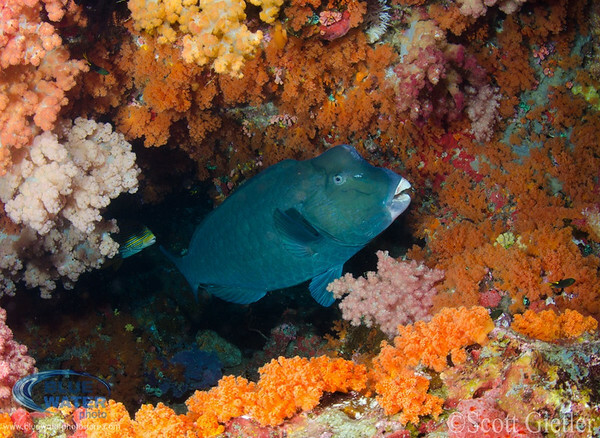 The Misool area is the south, and generally has more soft coral and less current. 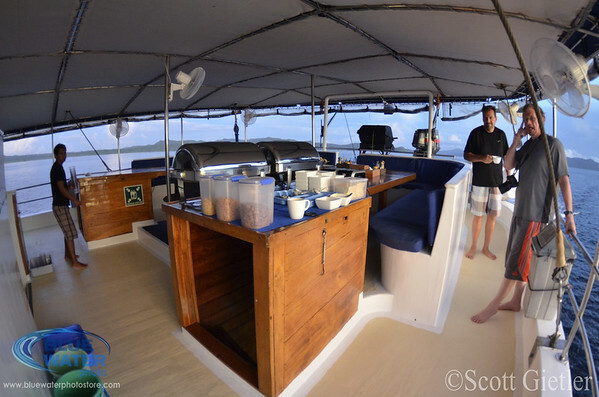 The "north" includes the jetty dives, manta dives, and the Dampier strait dives, and general has more current, and a little better visibility. Diving Raja in the "North"
Manta Sandy and Arborek Pier are near each other. 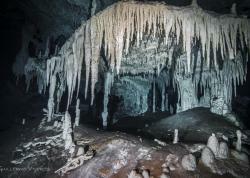 Both are fantastic photo dives and deserve many dives. 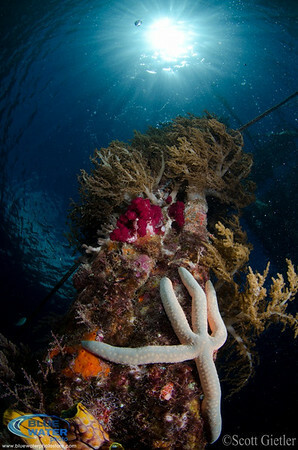 In the Dampier strait, Mioskon was a great dive site for Wobbegong, pygmies and reef sharks. 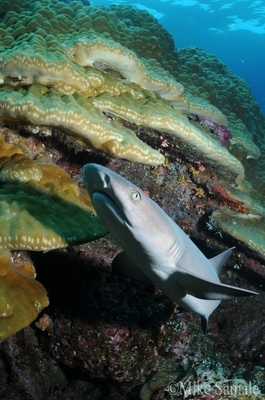 Cape Kri was a favorite dive for reef sharks, lots of fish and beautiful corals. On 2 or 3 dives, we had so much current that we really couldn't take photos. But current does bring out the fish. The best dives had enough current to bring out the fish & sharks, but not so much that we couldn't get photos. 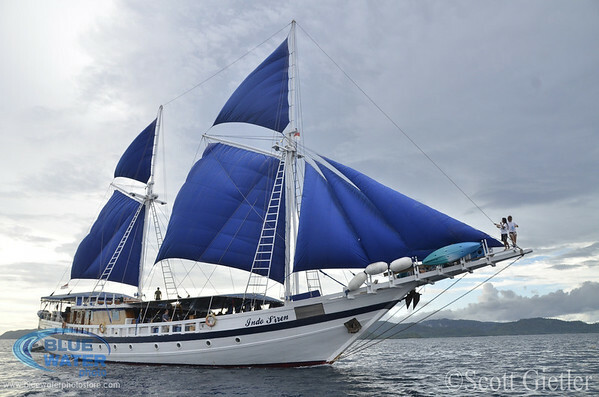 Supposedly there are 30-40 boats in Raja Ampat. We did see a few other boats, but not as many as I thought we would see. 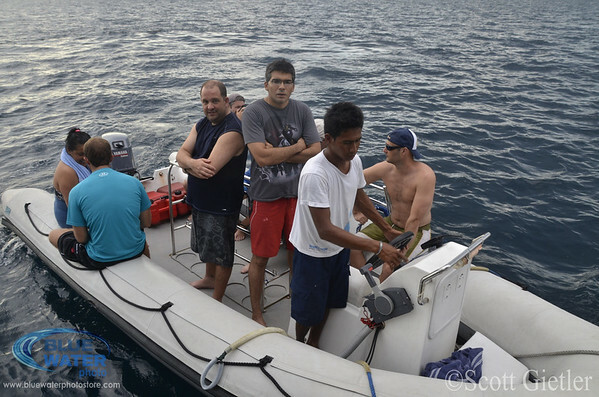 The crew did a pretty good job of timing our dives so we rarely saw divers from other boats underwater. 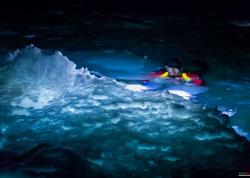 Sites can have strong currents, especially in the north, and when there are large tidal swings. Let your cruise director know if you won't want to dive in strong currents. Some people will advocate using reef hooks, but in my experience you won't get any photos using a reef hook, so I don't use them. Ideally on some of these sites you want a little current on some dives to bring out more fish, but not too much. Here's the Indo-siren! With the sails up for a photo-op. Two of our dive guides are on the bow. This was my favorite part of the boat. Having an outdoor eating area is fantastic. It really adds to the ambience of the trip. We had all of our meals here, and it became a nice "hang-out" area. The area was covered, so it was always shady. Speaking of meals, they had a gourmet coffee maker on board, lots of bacon & eggs for breakfast, and an endless supply of nutella. So I was happy. All meals were buffet style, with a couple different tasty indonesian dishes for lunch and dinner. The dive deck was awesome. Everyone has their own station, and plenty of room to suit up. The height of the bench was perfect. Everyone has a couple of drawers to put their computer, mask, etc. Gear was well organzied, everyone's wetsuits & dome port covers had tags on them so the crew knew who's gear it was. Rinse tanks were large, and the crew washed our gear for us. Lots of towels were available. The dive dinghies were great. There were 2 of them - they were easy to get in and out of, fast, and one was always around to pick us wherever we surfaced. 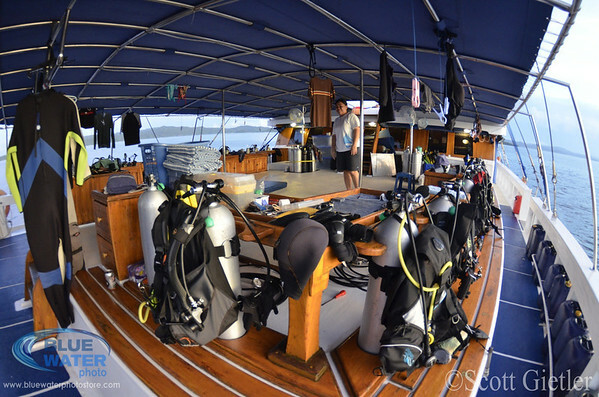 Cameras were brought into the dinghy for us, and tank/weights/fins were taken care of for us after the dive. Great service! The dinghy driver even stopped and let us snorkel with feeding mantas after one dive, on the way back to the boat. 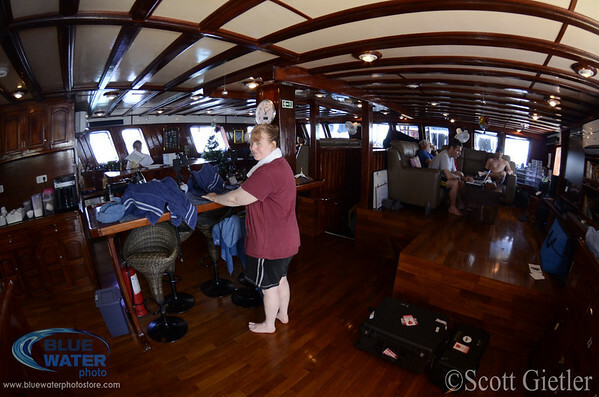 The sundeck was a large lounging area on top of the boat, good for sunbathing and reading. But most people hung out at the eating area, or the indoor lounge. This is where people set up their camera, charged batteries, watched presentations, and hung out on couches. It was a large, comfy area. People had their own drawers, and there were plenty of charging stations. You can see the coffee maker to the left, it ground fresh beans for every cup. There were dedicated camera areas for 8-9 people, not enough for everyone on board, but still plenty. 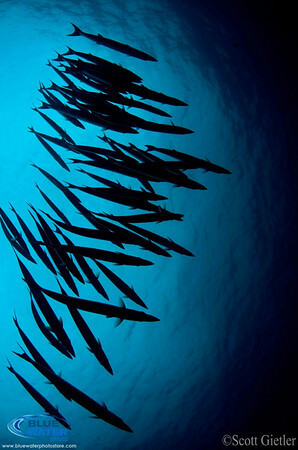 Explosion of glassfish at Cape Kri. Many thanks to my dive guide Dince for being a great dive model. One diver had a fogged-up 180 degree Subal viewfinder, making it difficult for him to see through it. He didn't bring the standard viewfinder with him, so he was stuck with it throughout the trip. If you have a 180 or 45 degree viewfinder, always bring the standard viewfinder with you! Our trip was relatively flood free.. good job everyone! Our boat had everything we needed! I simply brought shorts, t-shirt, camera gear, mask & sudafed. Get coffee on the flight to/from Sorong, it tastes great. Try to get 8 hours rest in a hotel in Jakarta, Bali, or Singapore. It really helps to break up the trip, and it makes the entire journey seem shorter. 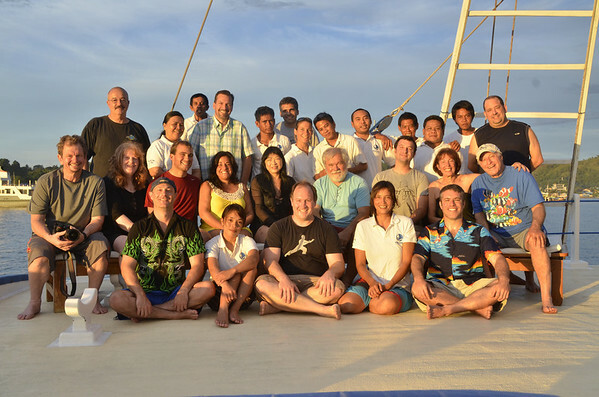 Raja ampat group photo - lots of happy divers! Raja Ampat - is it worth the travel time? Definitely. Getting a hotel room in Jakarta outside of the airport really helped break up the travel. 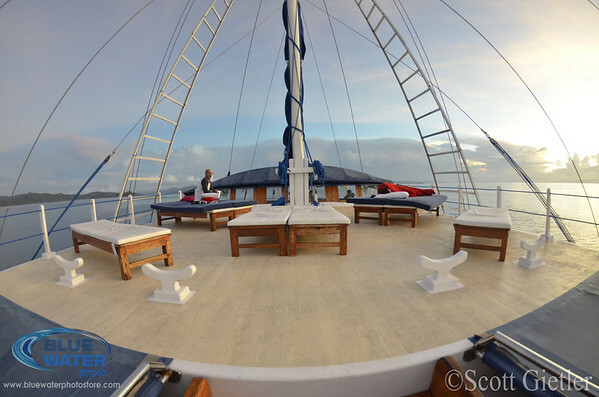 Once you arrive in Sorong, 30 minutes later you are on a boat and the relaxation begins. But to be honest, the flight to Sorong was easy, so my travel really stopped the moment I landed in Jakarta. The amount of fish I saw in Raja was amazing. 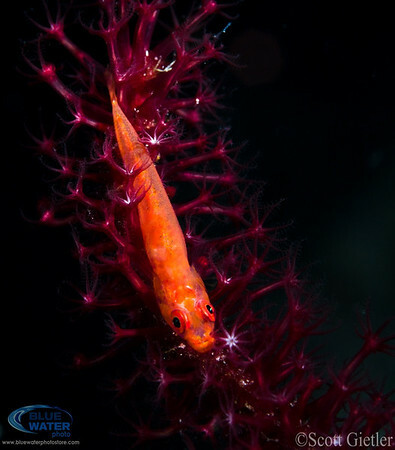 You don't have the critter diversity of Anilao / Lembeh, or the sharks of Palau, but if you do the right dive sites you will get many more fish and great wide-angle scenes than you bargained for. Submitted by david kessel on Wed, 2013-01-23 04:06. 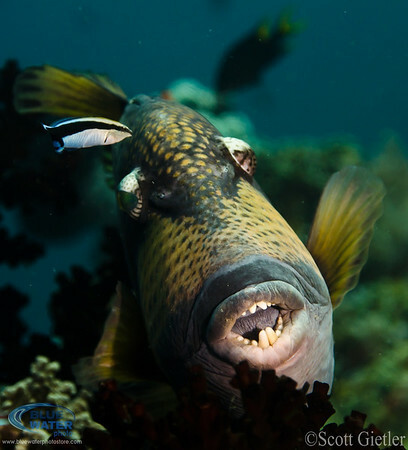 Submitted by Dive4Fishies on Tue, 2013-01-22 09:29. This trip was amazing! I loved the IndoSiren, it was first class all the way! Raja Ampat was beautiful and the diving was pristine! Most importantly, we absolutely LOVED the divers that joined the trip! I hope to see each and every one of you again! Thank you Scott, for arranging such an amazing adventure! Submitted by rickandchris on Mon, 2013-01-21 15:34. ExpressAir charged us $108.00 in overweight charges last October for the same luggage that Lion Air had charged $38.00 in overweight charges on the trip over from Manado to Sorong. The charge-per-kilo was also greater than that posted on their own website. 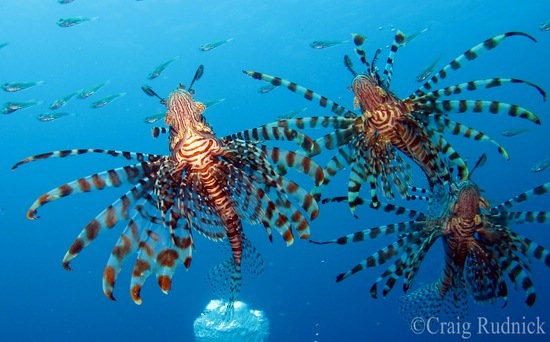 Submitted by Dive4Fishies on Tue, 2013-01-22 09:25. I would also like to comment on Express Air. We flew from Manado to Sorong, and yes, we were over, but the Express Air representative was terrible. The fee should have been approx $ 150 for both of us for overage and he insisted that we pay almost $500 US cash. We only had $100 in Rupiah and there was no where to exchange, so he was demanding US cash. He would not work with us at all, and five minutes before the flight left he walked away mad and told us he did not care if we missed the flight. I was crying hysterically and he finally let us through after we paid him all of our Rupiah and an additional $200 in US cash. This guy was totally trying to rip us off. We got on the flight and I was so stressed from this and the flight smelled like a combination of body odor, vomit, and feces. It was the worst flight I had ever been on. Those who flew from Jakarta to Sorong with express air don't seem to have the same complaint. We flew lion air back to Manado and as advertised, luggage was much less expensive. If you are flying to Sorong from Manado, I have a couple of suggestions. KNOW the weight restriction and don't go over it. If you have a choice between Lion Air and Express Air, choose Lion Air. Make sure, if you do have overage, that you have enough Rupiah to pay for it. Submitted by scottg on Mon, 2013-01-21 16:20.